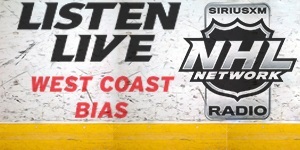 You are here: Home / NHL / Kings / Coach Terry Murray – A Student of History? Specifically, Smyth – who seemed to have unlocked something in Kopitar. The two had instant chemistry from the first day of training camp. And the magic they produced didn’t go unnoticed either, as in December 2009 Kopitar made his first appearance on the cover of The Hockey News. 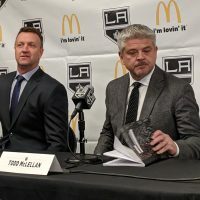 Their play helped propel the Kings into becoming one of the hottest teams in the league during the opening months of the 2009-10 campaign. Then, in a flash, it was gone by late December due to injuries. Still, few thought that Kings coach Terry Murray would enter this season with a different top line. 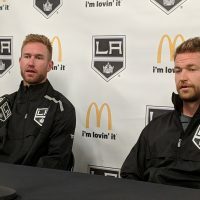 Thus, when he made the announcement as training camp opened that he was replacing Williams with Dustin Brown, questions began flying from all corners. The answer was simple though, he was looking for a more balanced attack and wanted to see greater output from Brown (who scored 33 goals in 2007-08, but had dipped to 24 in back-to-back years). 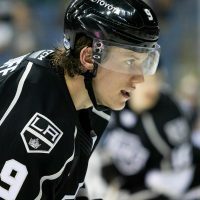 Once again, LA got off to hot start in October and things looked to be rolling – especially between Kopitar and Brown. 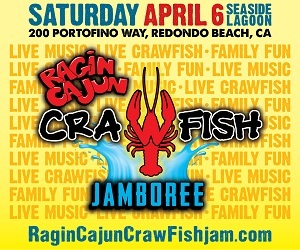 However, the Kings have lost six of seven, so it’s time to go with something different. Low and behold, last year’s unit is back together. 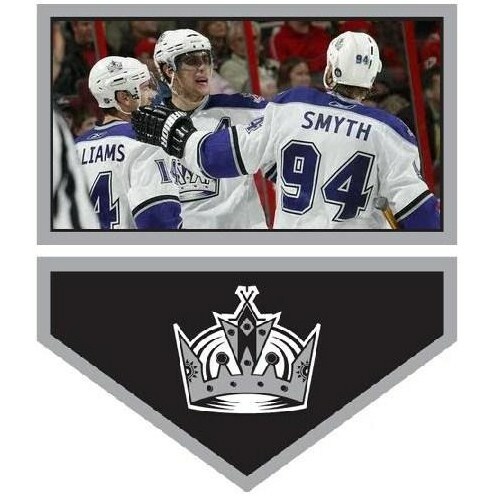 Has Murray been brushing up on his Kings history? 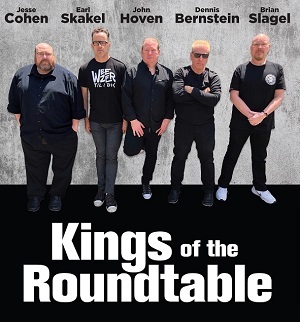 Ironically, it was on this date in 1979 that the Kings called up Charlie Simmer from their AHL affiliate in Springfield and the team’s most famous trio was about to be born. 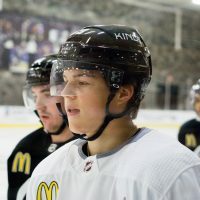 Simmer played left wing, along side center Marcel Dionne and right wing Dave Taylor – forming one of the most prolific lines in NHL history, The Triple Crown Line. Then-coach Bob Berry put them together for the first time on January 13th (the same date as the next Kings game this season). It was the seventh game of an eight-game road trip (this Thursday will be the seventh game of an eight game homestand). The line went on to recorded at least one point in 56 consecutive games. Overall, the trio put up spectacular numbers during their run together (’79-84) – Dionne averaged 119 points, Taylor averaged 88 points and Simmer 77 points. Can Smyth-Kopitar-Williams pick up where they left off last year? Take two starts Thursday night vs. the visiting St. Louis Blues. Is there a Hockey News Curse?